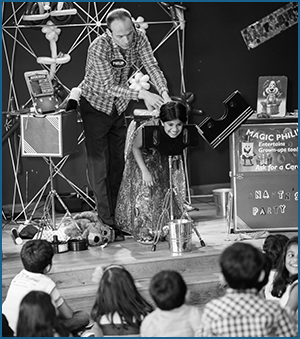 I perform as a kids’ entertainer in Manchester, Greater Manchester, Hale, Bowdon and Didsbury. I do perform further afield as well so please check with me if you are not sure if I cover your area. You’ll love how easy your upcoming birthday party will be with me taking care of all the kids’ entertainment. All you do is supply the food and I take care of the rest: you just sit back & relax! If you’re not completely satisfied YOU GET YOUR MONEY BACK!